Stocks started to roll over after Bloomberg News reported, citing people familiar with the matter, that U.S. officials are worried China may be pushing back against U.S. demands in the countries’ ongoing trade talks. The report also said Chinese negotiators are worried they have not received assurances that tariffs imposed on Chinese goods would be lifted once a deal is struck. 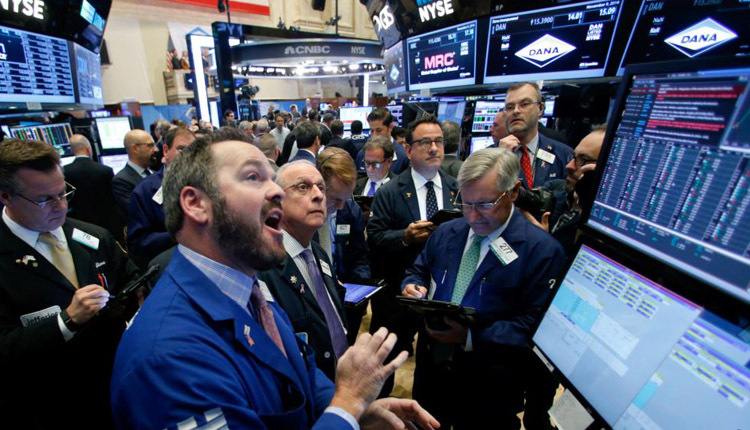 Randy Frederick, vice president of trading and derivatives at Charles Schwab, said investors have grown complacent as this issue— along with Brexit in Europe— have yet to be fully resolved. Stocks initially moved higher on Tuesday as the Federal Reserve kicked off its two-day policy meeting on Tuesday. Market expectations for a rate hike are at zero, with most investors pricing in no change in policy. However, investors will look for clues on the Fed’s economic outlook. Stocks have been on a tear since the Fed’s last meeting in late January. In that time, the S&P 500 has risen more than 5 percent. The broad index is also up more than 12 percent for 2019 in part because investors expect less policy tightening for the year. The rally could extend further as several investors are still on the sidelines. A survey put together by Bank of America Merrill Lynch found the allocation of global stocks among respondents was the lowest since October 2016. Given the market’s gains this year, investors underweight stocks could be enticed to increase their equity exposure, thus lifting prices even higher.